The new issue of India Briefing magazine, titled “The IT Sector: Time to Invest in India” is out now and available as a complimentary download in the Asia Briefing Publication Store. India is the world’s leading outsourcing destination, and offers an advanced ecosystem for foreign investors looking at the information technology (IT) sector. However, the IT sector is undergoing a critical transition phase as it adapts to the disruptions caused by automation and allied technologies popularly referred to as SMAC or social media, mobility, data analytics, and cloud computing. This has altogether resulted in restructuring efforts by the sector’s leading IT firms, leading to the layoff of competent, technically trained, and experienced technology professionals. This ‘crisis’ is only one of technological transition, and serves as a unique opportunity for foreign investors seeking to establish their IT business abroad or secure an outsourcing base. Technology professionals that have been laid off can participate in the country’s vibrant startup scene, while others will be available for employment with new market entrants. Meanwhile, the sector’s investment in new verticals, along with the upskilling of the domestic talent pool, will only strengthen the world-class infrastructure and service capabilities currently in place. In this edition of the India Briefing magazine, we make the case for why now is the right time for foreign firms to invest in India’s IT sector. Firms can take advantage of the existing IT infrastructure, new industrial verticals, proliferation of technological startups, and federal incentives. Finally, we discuss India’s talent procurement advantages, with its labor pool of STEM (science, technology, engineering, and mathematics) graduates. 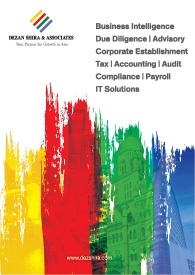 This magazine is based on Dezan Shira & Associates’ experience managing corporate establishment and IT processes for local and foreign companies in India. 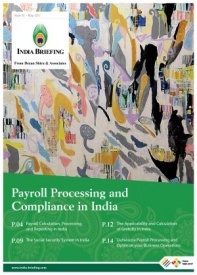 This issue of India Briefing assesses India’s IT sector, and the benefits available to foreign companies seeking to establish their IT services operations in the country.